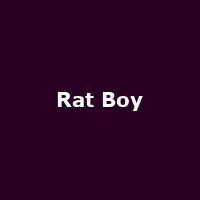 Rat Boy is Chelmsford-based singer Jordan Cardy. He released his debut EP, "The Mixtape" in 2014, followed by the EPs: "Neighbourhood Watch" (2015), "Get Over It" (2016) and "Civil Disorder"in 2018. Debut album, "SCUM" was released in 2017.